Canadian developer XGen Studios has recently been approved by Nintendo to produce software for the upcoming WiiWare portal. We're thrilled to announce that the classic game play enjoyed by millions is coming to your living room in the form of a new title with compelling additions. We're taking advantage of the creative freedom afforded by WiiWare to bring fans a captivating co-op game, with great competitive elements and irresistibly charming art direction. The game in question is coming in ‘early 2008’, which further fuels speculation that we may see the unveiling of the WiiWare service as soon as March. 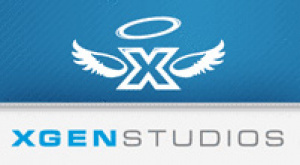 Check out XGen's official website here. I checked out the website and i played a couple of games that said Wii compatible. Do they mean they'll put those games with the Wii logo as Wiiware games or does it just mean it's for the Internet Channel? They'll be downloadable games from the WiiWare section of the Wii Shop. Sort of like Everyone Votes is now, except an actual game and something you pay for! does anyone know that one game where you are a stick figure and you find different kinds of weapons to kill each other.And it has a top view like the first grand theft auto also it was made by xgen studios.If anyone knows the name of the game please tell me because I want to play it again. Just let me tell you, I visited the site briefly this morning on the Internet Channel and their games actually look... good! I'm hoping that 'hit game' is Stick RPG 2 or something along those lines. Paladin wouldn't hurt either but, it is new and is no way a 'classic' yet. The XGen games on their site feel more like ShovelWare than WiiWare to me. I don't know how you guys can enjoy playing stick figure games. I have played so many games since the 16-bit era (early 90s) that games like XGen's don't introduce anything epic to me in the form of game play or story and thus can't keep my interest. Well, if you truly enjoy them then I'm happy for you because nothing beats a game you personally like. I have big hopes for Wii Ware. I'll probably end up being disappointed though. Like I would love to see a Super Mario World or Super Mario Bros. 3 level editor for example which you could send your creations to others who also have the level editor. "Like I would love to see a Super Mario World or Super Mario Bros. 3 level editor for example which you could send your creations to others who also have the level editor." ...THAT WOULD BE AWESOME. I guess I've said enough. Except, what about Super Mario Bros., Super Mario Bros. 2, Super Mario Bros.: The Lost Levels, and Yoshi's Story? I would also like to see the Sonic the Hedgehog (1-3D), Streets of Rage (1-3), soon-to-be VC bound Smash Bros., and Kid Icarus gain level editors/creators themselves. @ Chinspin. the game is called stick arena. well i hope Xgen makes a good game. @ Tim. Thats why they aren't making it a software title. So you'll be buying games that you can play on the internet for free? WTF? It better come with at least 4 games, and some added stuff. I bet March's issue (well in the month of February) of Nintendo Power will have more info about Wiiware games. Maybe even some info on this company.